I am a Neurologist who specializes in the treatment of Movement Disorders. My primary interest is in Parkinson’s Disease (PD). 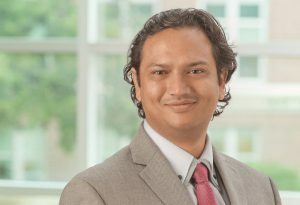 After joining University of Nebraska Medical Center (UNMC) as faculty, I developed and became the Co-Director of Comprehensive Multi-disciplinary PD Clinic at UNMC. As a fellow at UNMC, I initiated the Orthostatic Tremor (OT) Research project which grew to become the largest ever prospective ongoing research project on OT, supporting multiple ongoing studies that I continue to be actively involved with it. I coordinated and participated in 3 International OT meetings at UNMC to conduct the research on this rare condition. I have strong interest in PD neuroprotection and participated in study of Leukine (GM-CSF) for immune-modulation in Parkinson’s Disease, which is a Phase 1a study. As a member of PD Study Group (PSG), I continued this research and am currently participating in 3 Multi-center PSG sponsored neuroprotection trials including STEADY-PD3 (Site Sub-I), SURE-PD3 (Site PI), and NILO-PD (Site PI). I recently expanded by research in PD to investigate driver safety in PD, and have developed novel mobile applications to measure a PD individual’s changing motor symptoms via finger-tapping and their self-awareness of these motor symptoms, which is modulated by complex cognitive and disease factors. 2017 Awarded Visiting Professorship by Higher Education Commission of Pakistan at National University of Medical Sciences in Pakistan. Kerui Xu, M.P.H, Ph.D(c); Nada Alnaji, M.P.H, M.D. ; John M. Bertoni, M.D., Ph.D; Li-Wu Chen, M.H.S.A, Ph.D; Danish Bhatti, M.D; Fei Jiang, M.P.H; Ming Qu, M.D., Ph.D Comorbid conditions in Parkinson’s disease: a population-based study of statewide Parkinson’s Disease Registry. Neuroepidemiology 2017 Dec 22;50(1-2):7-17. Bhatti D, Balasetti V., Malgireddy K., Rush ET, Torres-Russotto D. Tourette syndrome, obsessive compulsive behavior, and dysmorphic features in a patient with deletions at chromosome 18q22.1 and chromosome 13q12.3-q13.1. Parkinsonism Relat Disord. 2016 Nov;32:133-134. Resident Block Curriculum with Mini-Courses: I directed designing and transition of the Resident didactics into blocks or mini-courses covering all sub-specialties. Each mini-course is directed by a sub-speciality faculty having its own curriculum, blending into a larger comprehensive curriculum. Blended Learning in Movement Disorders: This 5-week long Blended learning course was created for the Neurology resident at UNMC and conducted in 2017 with face to face weekly didactics and online component of reading materials and assignments and quizzes. Online Learning in Movement Disorders: This is a 6-month online course that was created using Moodle Learning Management System and delivered as distance learning online to first cohort of 18 Neurologists and residents in 2017. The course included lectures, quizzes and assignments delivered in 12 modules. It will be repeated and expanded over time. Online Mini Fellowship in Stroke: A 6-month online course is being developed to be delivered as distance online learning for Neurologists and neurology residents. The course will include lectures, quizzes and assignments delivered in 12 modules. 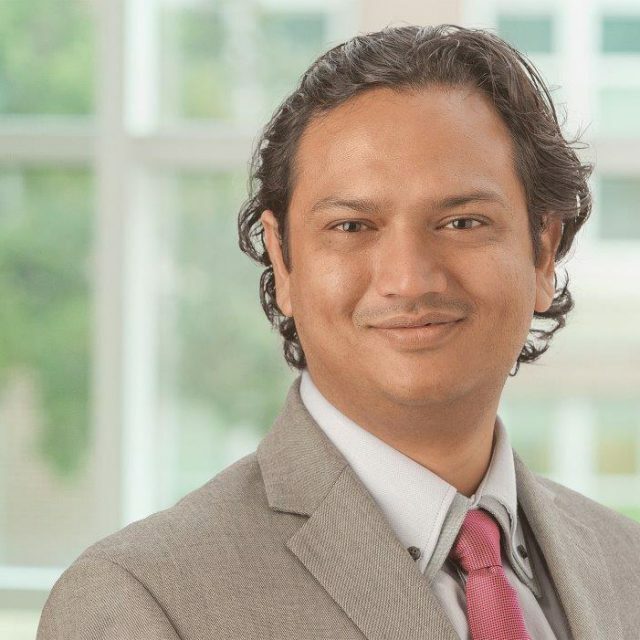 Visiting Scholars Program: I have developed a program for international neurology faculty to visit UNMC for sub-specialty focused and goal-directed exposure to our practices to transfer skills and fill knowledge gaps internationally. 2014 Annual PD Symposium for Patients and Caregiver, Omaha NE. What is Atypical Parkinsonism? 2013 Annual PD Symposium for Patients and Caregiver, Omaha NE. 2012 Annual PD Symposium for Patients and Caregiver, Omaha NE.